The question here was 2 fold, where do you get inspiration to be creative, and how do you maintain inspiration and creativity. 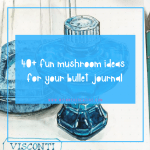 Couple of suggestions to start, is to check our #bulletjournalinspiration and pinterest. These two spots could keep you going for hours. BUT how do you translate what you have seen into something you can use? 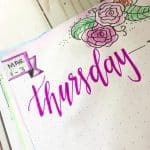 It is always a good idea to (on a blank piece of paper or the back of your journal) scribble down your “must haves” and from there look at what’s inspired you and blend the two together. Sometimes it might work, or sometimes you may need to stick your pages together and try again. ‘We have made it really easy for you to find inspiration with our “start here” page which lists inspiration by colour and theme. This is also helpful when you want to try something new. Creativity however is subjective, and some people’s minimalist may be others creativity. If you are really struggling to be creative, keep it really simple. 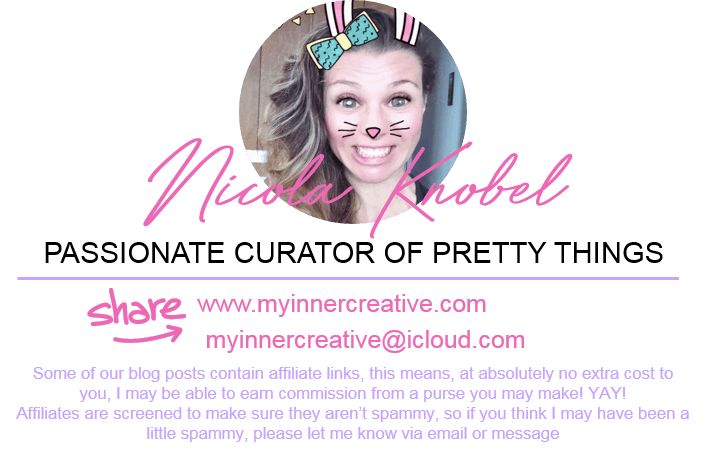 Or start a new page and try some new doodles, headers or designs. 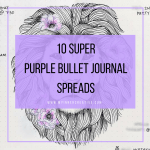 It might just inspire you to be more creative with your next spread. Thank you to @musa.in.science @spacekittenbujo for highlighting these questions! 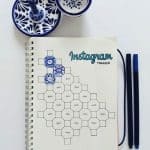 This again can fall into two areas, those of us that use journals for productivity probably won’t be as creative and dedicate as much time to how the pages look, you might see them using a similar template week on week, or keeping it really minimal. 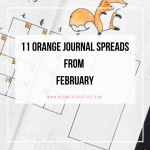 Or you have those that create beautiful spreads each month, where they have use the time to create and draw as part of their self care or mindful practice. So this is totally up to you, for me personally I like doing a month at time and then usually a page for forward planning at the end of my month for stuff I need to remember to add to the new month. Remember, it’s your journal, so you should feel comfortable with how it looks, no one else. Thanks to@allabout_mybulletjournal for asking this question first! Trackers are such a great tool – they give you a good sense of habits, patterns, statistics you want to track etc. While many many people have monthly trackers which are visual and really fun to use, there are also those who incorporate it into their weekly pages, so for me, I have them attached to my weekly page, with the habits I’m trying to break, available for me to remember to check daily. 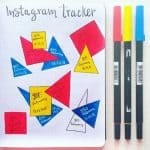 Again these are such a good way to view how you have consistently done something, if you are struggling with bullet journal consistency, you could tie it into a tracker to remind yourself to give yourself time to do work on your bullet journal or investigate new spreads you might want. This is a challenge that not only came up when I asked, but in all our workshops, and people that see me using it daily “how do you make time for that?’ Simple. You make time. If it’s something you enjoy, then you will find time in your day, week or month to keep up with it. 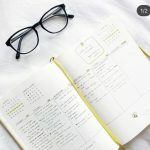 For me, I have adapted Hal Elrods miracle mornings to suit me and that’s where I make my time, and when I find myself with spare time (I’m a working mum – so that is few and far between) I start working on some of the things I have been meaning to work on. its absolutely ok to miss a couple of weeks in your journal. That’s the beauty of them, you can put them down and pick them up on any day with out much delay or hickupping. 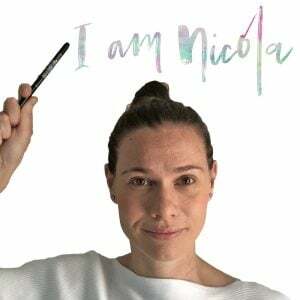 Its about making time for yourself to explore your creativity and to make time to get ready and to be productive over the next week or month or year. Now. I want you to take a second. 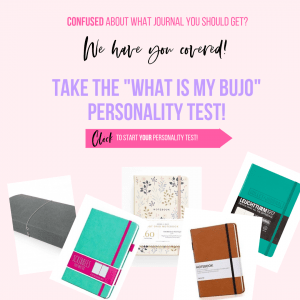 Who is using your journal, who cares about your journal? You. 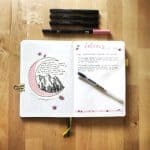 It’s your journal, be it for notes, or study, or journaling, or planning, or actual bullet journaling, it’s yours. Don’t compare yourself. Everyone one is one a different journal journey to you and might be far ahead or far behind but there is no “normal” , so don’t compare yourself to others, focus on what makes you happy, focusing on how you enjoy using your journal and you should be ok! 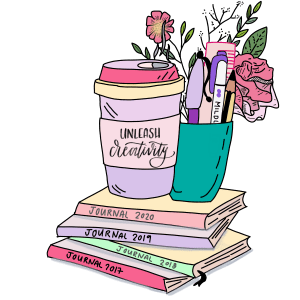 Think for a second about what you are actually using your journal for? Is it for note taking, jotting down your todo lists? Look at what the spaces you have used most are, would it not then be logical to create something that played to that strength? You can always draw from or improve from your previous spread, but once you find something you like, bring it into your spreads for that consistancy you are looking for. For example you might like cats, you could easily have a cat doodle space every week, even if your layout has changed. Is it critical to have a perfect layout or having it look pretty? 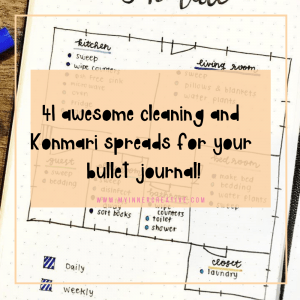 Bullet journaling is about you and what you use you journal for. No one else. It’s absolutely supposed to be adaptive and flexible to your taste.